Lights, Camera, DAUDI! That’s how I think the saying should go sometimes. If you’ve ever worked with this extraordinary photographer featured here, you’ll know what I’m talking about. It seems only natural to think about Daudi, the creator of Daudi X Photography, when talking about camera and light. Daudi is extremely creative with both. For him, photography is not just a job. It is his art, it his passion. He not only expresses the way he sees the world through this art, but he also brings pieces of it to us, capturing special moments and bringing out what is unique in each of his subjects. Daudi covers a range of photo types but his greatest fascination is with people. He is probably best known for his work in the dance community. His professionalism and attention to detail in his work is impressive, as is his friendly, charismatic nature. 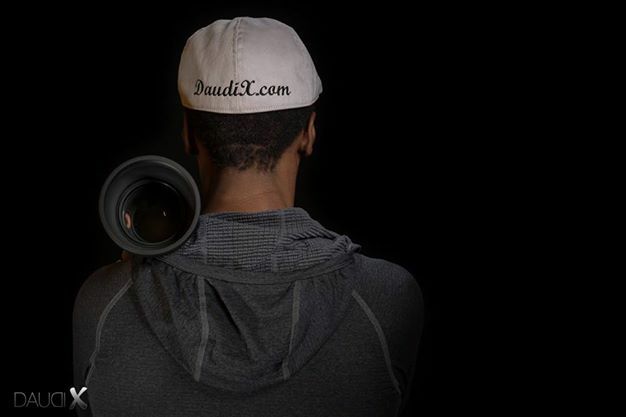 While Daudi has spent much of his time showcasing the talent and beauty of the artists that he photographs, it is my pleasure to finally celebrate Daudi’s talent and inspiring story with all of you. Thank you Daudi for your enthusiastic and thoughtful responses.